The pension nightmare that is at the heart of the horrific financial crisis in Detroit is just the tip of the iceberg of the coming retirement crisis that will shake America to the core. As a society, we have made trillions of dollars of financial promises to the Baby Boomers, and there is no way that we are going to be able to keep those promises. The money simply is not there. So writes Michael Snyder (theeconomiccollapseblog.com) in edited excerpts from his original article* entitled The Tip Of The Iceberg Of The Coming Retirement Crisis That Will Shake America To The Core. Right now, more than 10,000 Baby Boomers are hitting the age of 65 every single day, and this will continue to happen every single day until the year 2030. The number of senior citizens in the United States is projected to more than double by the middle of the century, and it would have been nearly impossible to support them all even if we weren’t in the midst of a long-term economic decline. Tens of millions of Americans that are eagerly looking forward to retirement are going to be in for a very rude awakening in the years ahead. There is going to be a lot of heartache and a lot of broken promises. Detroit is far from an isolated case….Other major U.S. cities are facing unfunded pension liabilities that are even worse, for example: Detroit: $3.5 billion; Baltimore: $680 million; Los Angeles: $9.4 billion; Chicago: $19 billion…Many state governments are in similar shape. Right now, the state of Illinois has unfunded pension liabilities that total approximately $100 billion. There are some financial “journalists” out there that are attempting to downplay this problem, but sticking our heads in the sand is not going to make any of this go away. According to Northwestern University Professor John Rauh, the total amount of unfunded pension and healthcare obligations for retirees that state and local governments across the United States have accumulated is 4.4 trillion dollars. Perhaps you are reading this and you are assuming that your retirement is secure because you work in the private sector. Well, just remember what happened to your 401k during the financial crisis of 2008. During the next major stock market crash, your 401k will likely get absolutely shredded. Many Americans will probably see the value of their 401k accounts go down by 50 percent or more and, if you have stashed your retirement funds with the wrong firm, you could end up losing everything. Just ask anyone that had their nest eggs invested with MF Global. Most Americans are woefully behind on saving for retirement anyway. 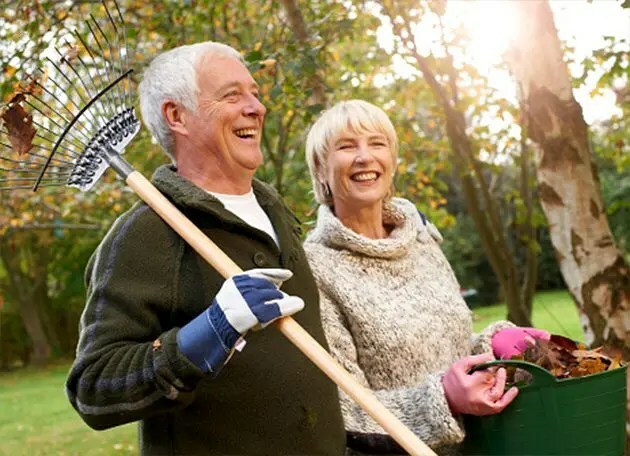 A study conducted by Boston College’s Center for Retirement Research found that American workers are $6.6 trillion short of what they need to retire comfortably. That certainly isn’t good news. On top of everything else, the federal government has been recklessly irresponsible as far as planning for the retirement of the Baby Boomers is concerned.,,,The U.S. government is facing a total of 222 trillion dollars in unfunded liabilities. Social Security and Medicare make up the bulk of that. At this point, the number of Americans on Medicare is projected to grow from a little bit more than 50 million today to 73.2 million in 2025. The number of Americans collecting Social Security benefits is projected to grow from about 56 million today to 91 million in 2035. How is a society with a steadily declining economy going to care for them all adequately? Yes, we truly are careening toward disaster. Currently, there are 40 million senior citizens in the United States. By 2050 that number is projected to skyrocket to 89 million. 20% of all bankruptcies in the U.S. are by individuals who are 55 years of age or older now compared to only 12% back in 2001, they only accounted for 12 percent of all bankruptcies. the number of Americans between the ages of 65 and 74 that filed for bankruptcy rose by a staggering 178% between 1991 and 2007, primarily caused by medical bills. 60% of personal bankruptcies in the U.S. were caused by medical bills of which approximately 75% involved individuals that actually did have health insurance. Sadly, most Americans are not aware of these things. There is no way in the world that we are going to be able to keep all of the financial promises that we have made to the Baby Boomers. A lot of them are going to end up bitterly disappointed. All of this could have been avoided if we would have planned ahead as a society but that did not happen, and now we are all going to pay the price for it. 3. U.S. Gov’t May Want to “Help” You Manage Your Retirement Account! Really? 5. Don’t Even Think About It – Touching Your 401(k) That Is! 9. Retirement Age Keeps Going Up – When Will You Retire? Just 10 years ago, most Americans felt confident they’d hang up their hat by the time they turned 60. Now the average working stiff expects to retire at age 65 due to the housing crisis and credit crunch, among other nest egg busters….Experts are predicting that the trend will continue, thanks to the Great Recession so, for now, Americans are just focused on keeping their day jobs. When will you retire? Check out the graphic below to find out. 10. Is Your Household One of the 51% Projected to be at Risk in Retirement? SS and Medicare are always mentioned when the national debt comes up but they were “prepaid” by huge personal income taxes on the future beneficiaries. Reporters and politicians never mention Welfare and Medicade for which the beneficiaries paid jack. Before TPTB cut SS, welfare should be cut so that no one living on the dole has a higher standard of living than the poorest SOB till working. As for the military and infrastructure, etc, draining either to fund welfare is like eating the last of your breeding stock.